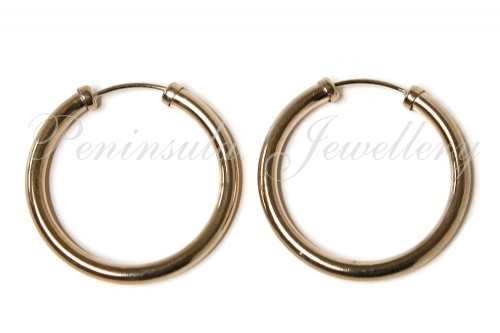 20mm Diameter sprung (not hinged) hoops with capped ends for comfort. These are real solid 9ct gold, not plated. 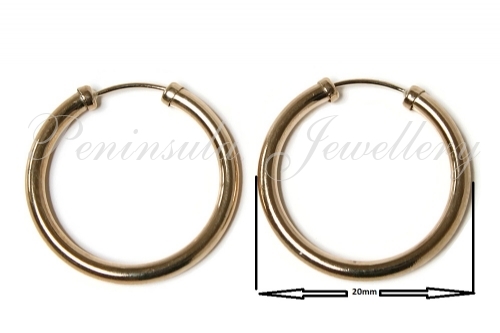 Dimensions; Overall hoop - 20mm Diameter, Tube Diameter; 1.5mm - Reinforced for extra durability. 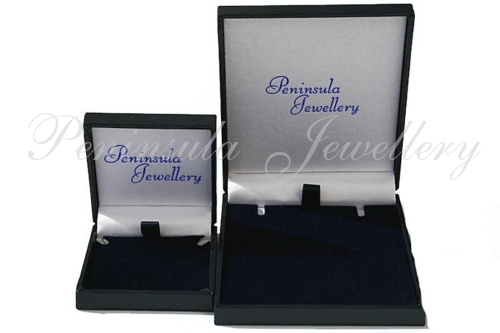 Presented in a luxury velvet box - Great Gift! !